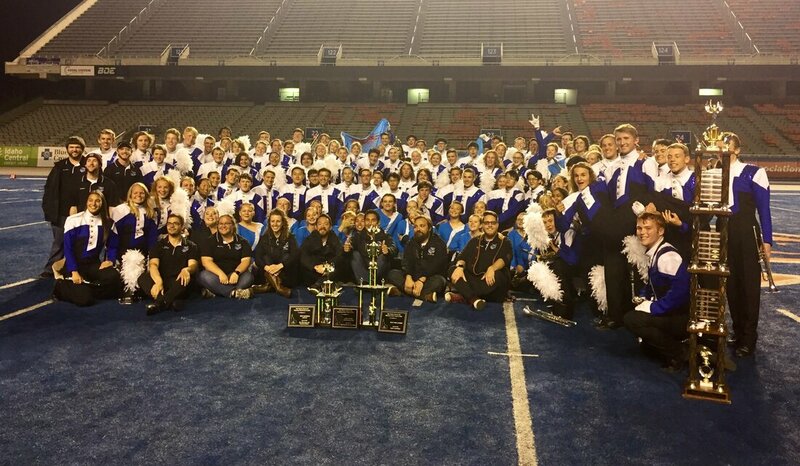 ​2018 Show: "To Build A Dream"
1st Place Overall Sweepstakes - All Divisions! 2nd Place Overall Sweepstakes - All Divisions! Idaho District III Mel Shelton Championships - 2nd Place Overall in Division 5A-Small, Best Color Guard, Best Percussion, Best General Effect, 3rd Place Sweepstakes Over All Divisions!